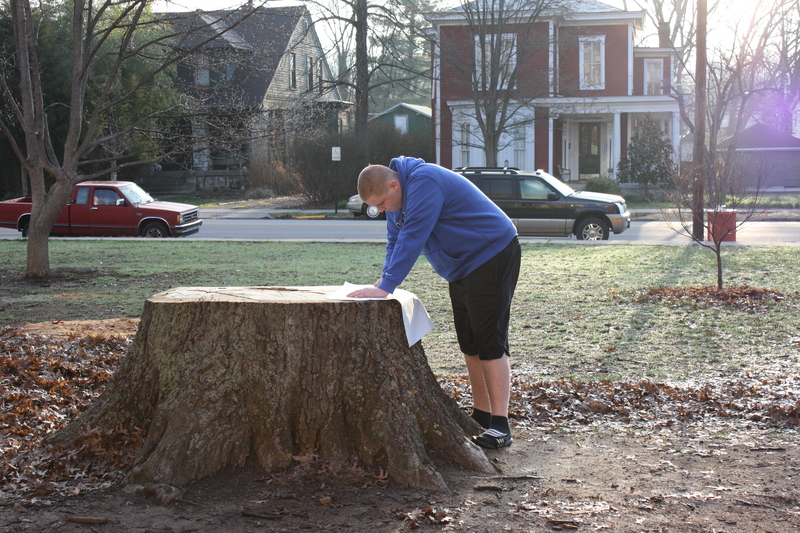 Getting a texture rubbing of the tree rings. Today the uninhibited sun beckoned us outdoors once more. The first period Art 1 class participated in the same lesson that the middle school classes and the afternoon art 1 class completed yesterday. 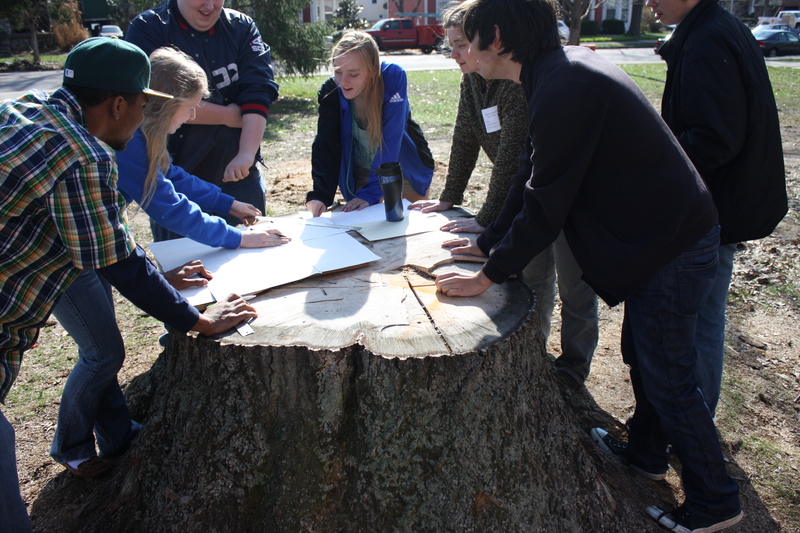 The students ran around to make rubbings of different parts of the school, including the tree stumps, bricks, and the Frankfort High sign. It was amazing to watch them not only prepare to make art using the rubbings for their memory boxes, but also create works of art on their papers by combining textures and different colored crayons. Melanie and I thought that perhaps a few of the papers should just be hung on the bulletin board as artwork because they were so beautiful. More texture rubbings from the old stumps. The Art 2 and Art 3 classes needed to complete their final plans today so that Melanie and I would know what materials need to be purchased over spring break. 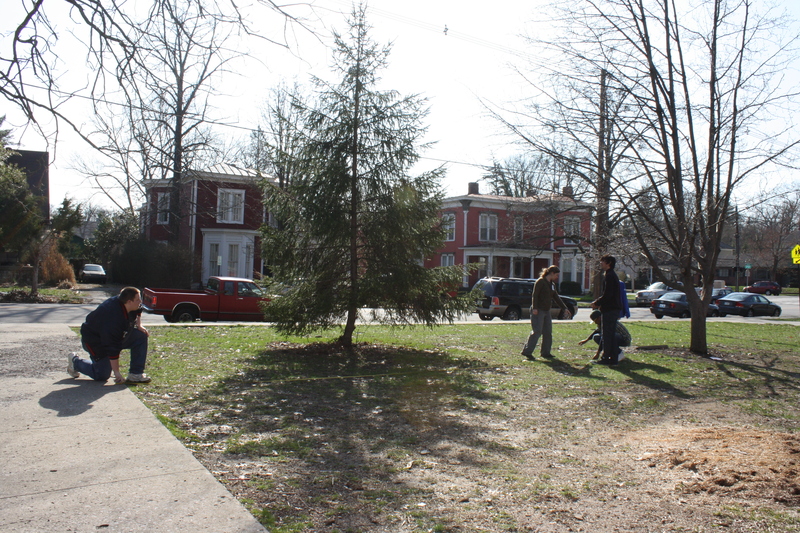 We started the first class on a scaled drawing of the front lawn – which proved to be a larger task than anyone had expected. At one point we were even counting diagonally and using the quadratic formula to ensure what the students had drawn on the graph paper was an accurate reflection of real life. 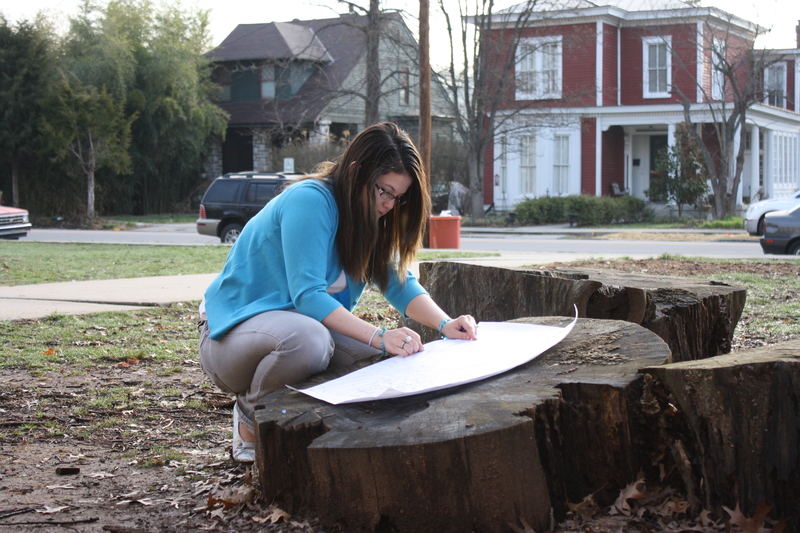 One student exclaimed, “I never expected to do so much math in art class!” We went back to the art room briefly to draw out the students’ sculpture design on the graph paper… and then we were back out in the sun mapping the tentative location of the logs on the grass with marking paint. Working on the scale drawing for the sculpture. Measuring some of the permanent fixtures on the lawn. Part of the sculpture marked out on the front lawn. 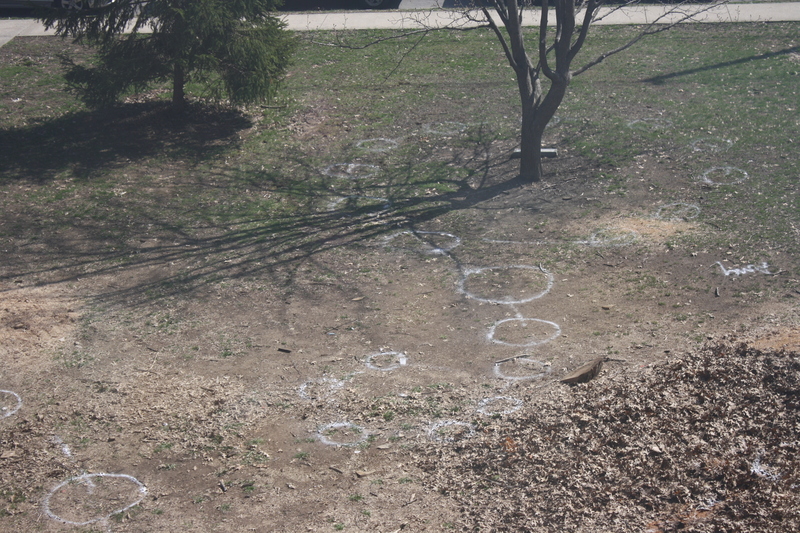 I ran out of time today during class when trying to take pictures of the sculpture mapped out on the front lawn. I tried again after school, but students were playing a game and I wasn’t willing to risk my personal safety to get the pictures. They will be posted tomorrow along with some other pictures to highlight student work and remind the viewers of what we have accomplished in just a few days. The rubbings are a fantastic way to integrate the past, present, and future of this site. I enjoy reading the updates and look forward to seeing the sculpture in person.